SCHOLASTIC CANADA .Every month, our students will go home with a Scholastic Canada catalog with French Books and Magazines offers. To order, you will have to bring back the catalog order slip with a check to Scholastic Canada to your child's teacher before the end of the month. ECOLE DES MAX (Ecole des Loisirs) Every year, we are centralizing all orders to make sure EFGS families benefit from the "group pricing". To see the different subscriptions, click HERE. If you are ready to order, print the correct order form below, fill it out and give it with a check (or pay online) to the teacher or other staff on site. We will receive all the orders and distribute them in class. Titoumax (2 to 4 yo), Minimax (3 to 5 yo), Kilimax (5 to 7 yo), Animax (7 to 9 yo), Maximax (9 to 11 yo), Supermax (11 to 13 yo) and Mediummax (for teens). You can subscribe anytime this year, you will just receive all the books of the previous month the first time and then one a month. BAYARD MILAN Magazines: check out the 2018-2019 catalog HERE (code E21, Etats-Unis Cote Ouest). To see the subscriptions costs in US Dollars, click HERE. Once you have made your selection, you can place your order using this order form. LES PETITS LIVRES: Rent Quality French Books for 0 to 12 yo. 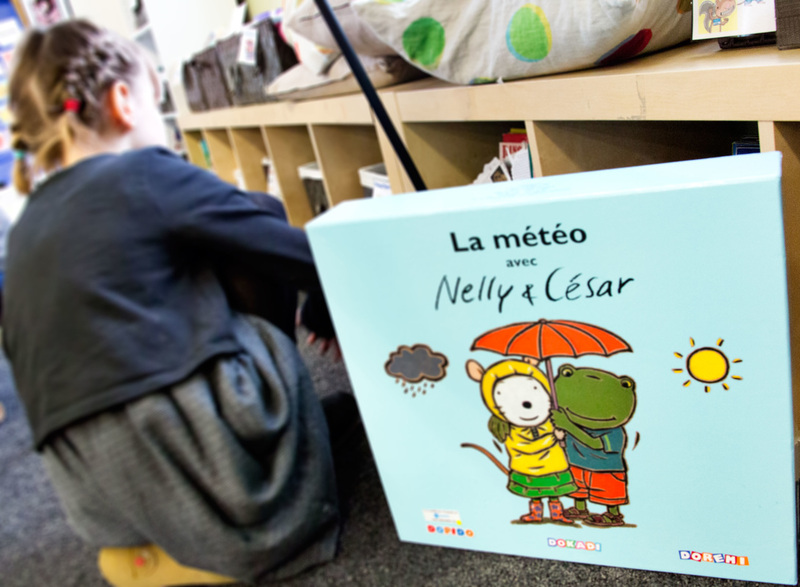 We also have a special partnership with Les Petits Livres, an online French children's book rental service. For an all-inclusive annual fee of $95, EFGS families will receive 5 sets of 5 books (or $110 for 5 sets of 6 books) throughout the year. To know more, click HERE (orders must be placed by Oct 4th).